If your home is not looking its best. We are here to help. 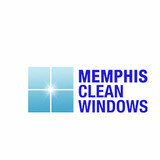 We service Memphis and the surrounding area. We serve Shelby, Fayette, Tipton, And Desoto county. All cities including Germantown, Collierville, Cordova, Lakeland, Eads, Arlington, Bartlett, Raleigh,Millington, East Memphis, Midtown, Downtown, Olive Branch, and Southaven. Additional services include glass cleaning includes Interior/Exterior light fixtures, Chandeliers, Decorative mirrors, Glass cabinets, Glass tables, anything glass give us a call! Call today for a free estimate (901) 619-2124. 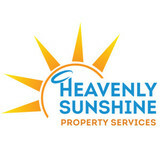 We provide property cleaning solutions for residential properties. We specialize in window cleaning, pressure washing, gutter cleaning, roof cleaning, window scratch removal and more. Whether you call our office and speak with our friendly staff or book an appointment online, our #1 priority is our customer. We pride ourselves in arriving on time, getting the job done right, and ensuring your 100% satisfaction, guaranteed. As a family-owned and operated company since 1977, we know what it means to be a family. And that’s how we treat our customers. We serve the greater Memphis and surrounding areas. Call us today for a free estimate: 662-342-1203.